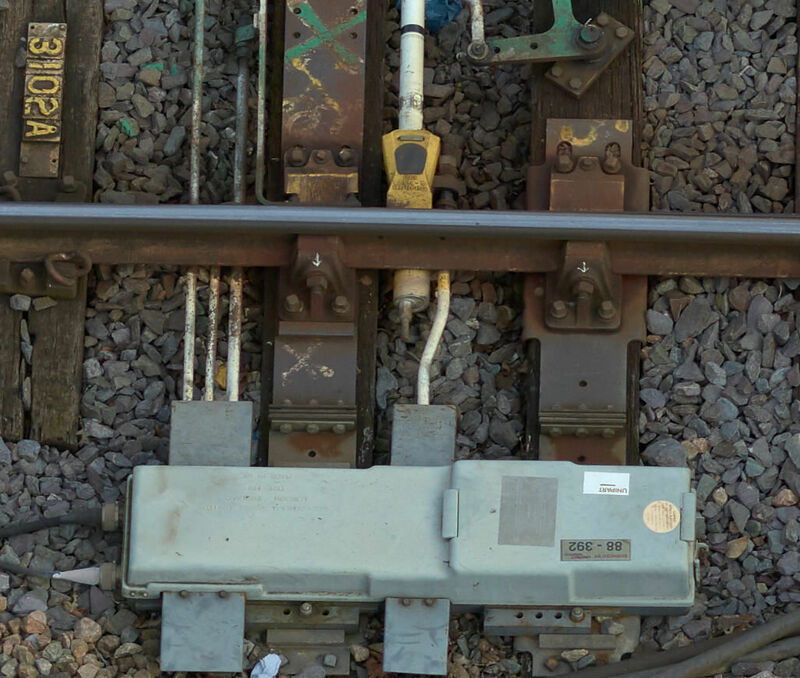 The biggest Vogel R3D job to date, on one of the busiest stretches of railway in the country, our work at Guildford showcased the full capability of the system to deliver a range of survey requirements. 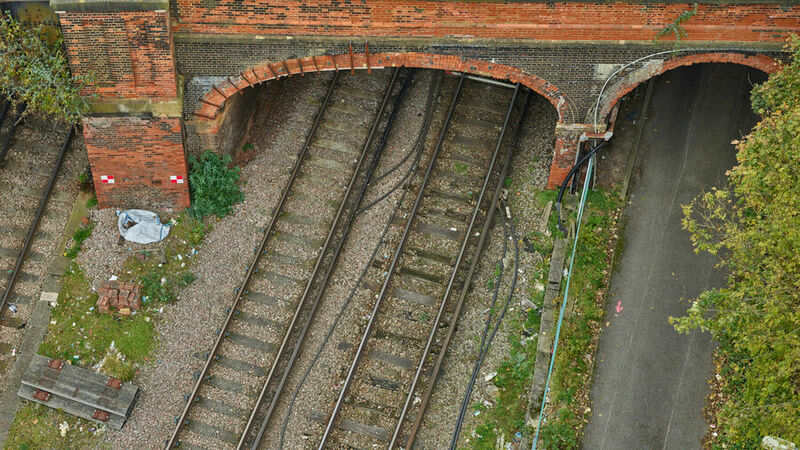 Plowman Craven was instructed by Network Rail’s S&C (switches & crossings) South Alliance to deliver a range of survey requirements that would enable the replacement of S&C close to Guildford Station in Surrey. 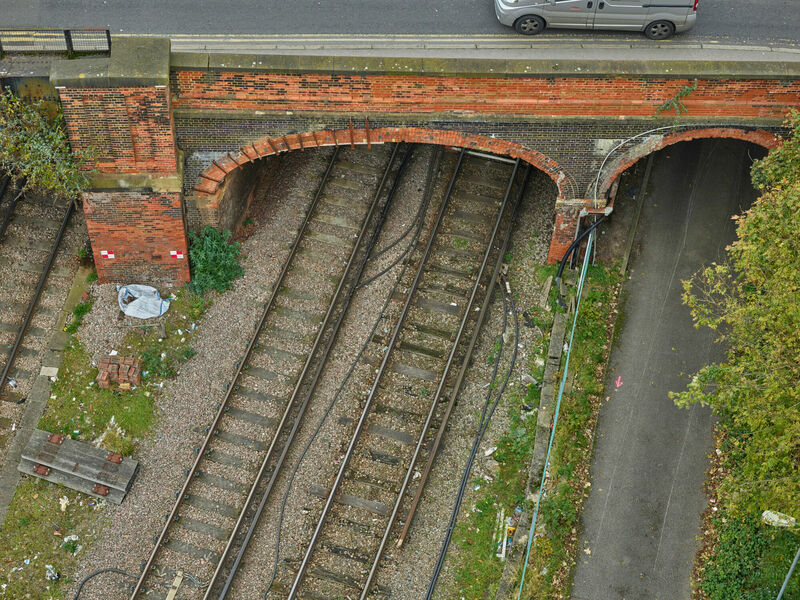 With three different branches converging just before the station and more than 30 trains an hour passing through at peak times, the tracks around Guildford receive huge amounts of traffic. 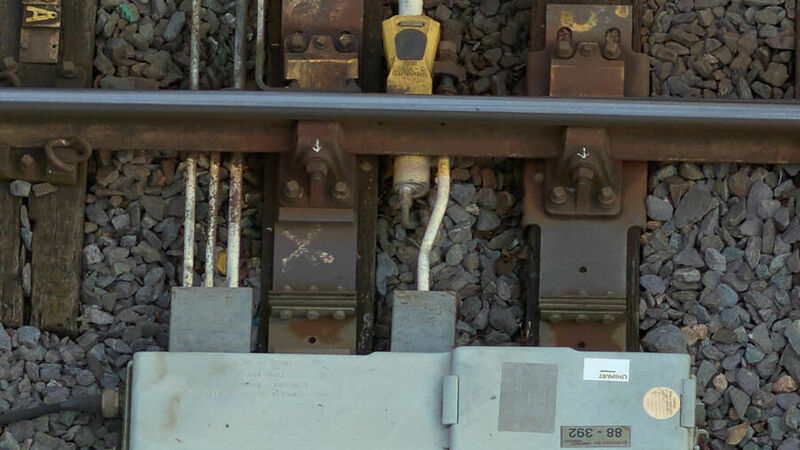 Inspections of the switches and crossings take place periodically and all 40-or-so need replacing on a regular basis. 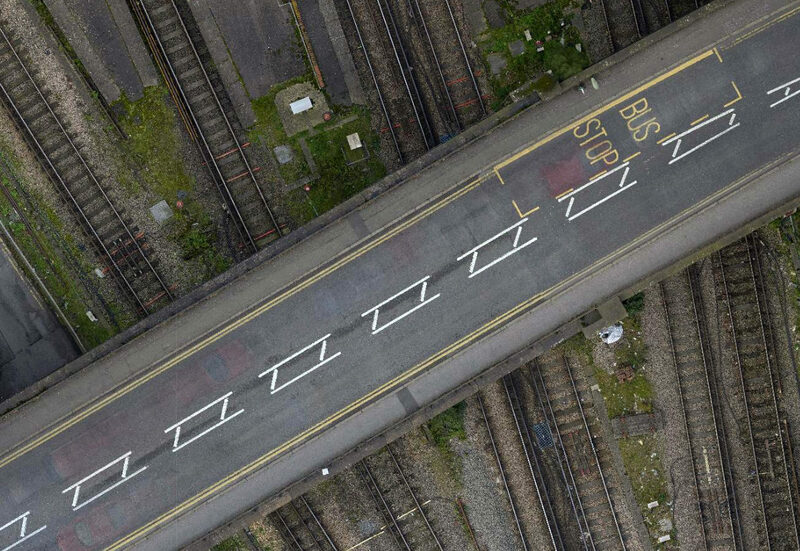 Using our Vogel R3D UAV survey solution, we were able to capture highly-accurate (sub-5mm) data in a fraction of the time it would have otherwise taken. 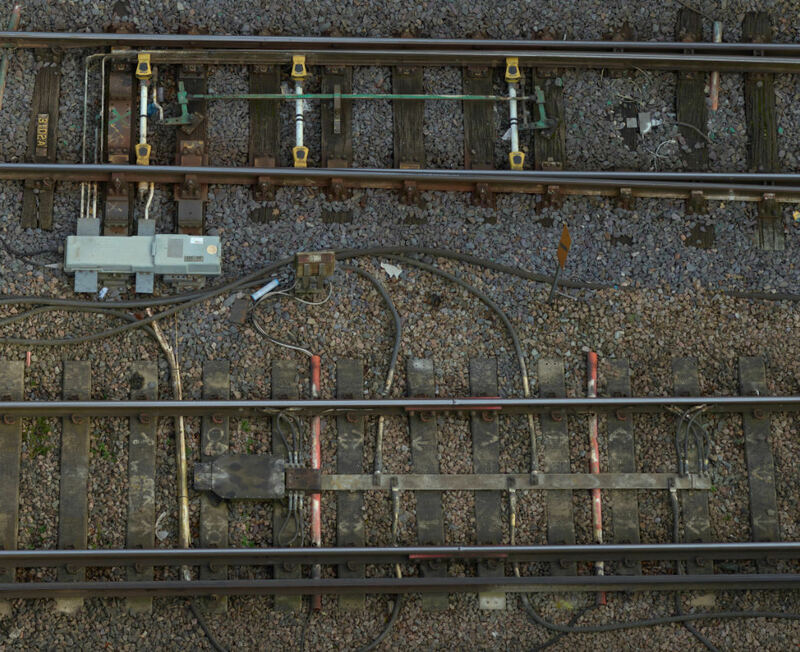 Traditional surveys would require multiple possessions to enable contractors to record and assess the state of the rail infrastructure, but it would be virtually impossible to secure all three tracks at the same time. The time and cost implications of these possessions would be significant, particularly as the stretch that required surveying is 1,200m long and at its widest point, eight tracks wide. Passing through at peak times, the tracks around Guildford receive huge amounts of traffic. Over 5 days of flying by our UAV team. This would have taken several months to achieve traditionally. So powerful it can read a business card from a height of 30m. 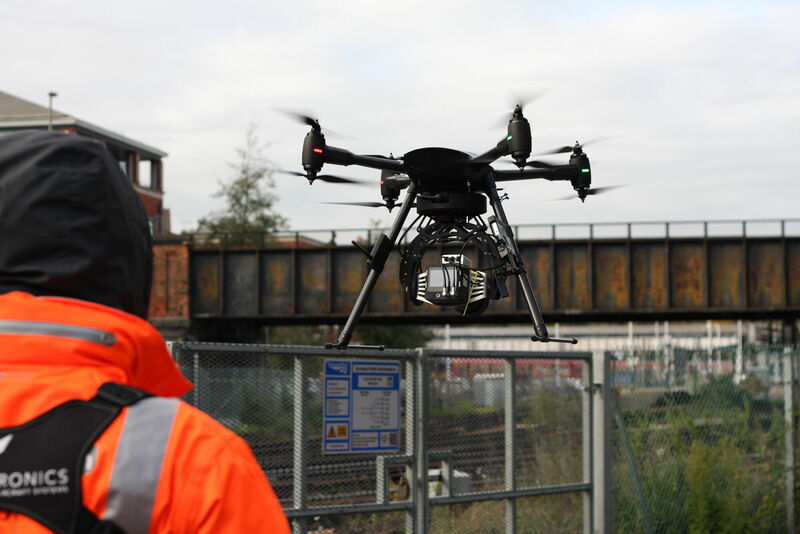 Plowman Craven is continuing to push boundaries through a dedicated UAV division that uses the latest drone technology to provide high-accuracy surveying and inspection services to the property, rail and infrastructure markets. Guildford was the largest, and most difficult, Vogel job to date. With some sections of the track up to 50m wide, establishing survey controls was a real difficulty. Using our Vogel R3D UAV survey solution, we were able to capture highly-accurate (sub-5mm) data in a fraction of the time it would have otherwise taken. Operating at a working height of 35m, we flew from three different locations – all from a position of safety with no track access required. 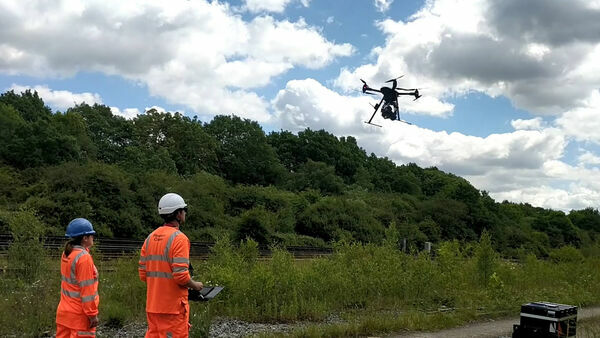 Five days of flying saw our UAV team capture more than 1TB of data, which would likely have taken several months to achieve - first to secure possessions and then to manually survey using a laser scanner or total station. 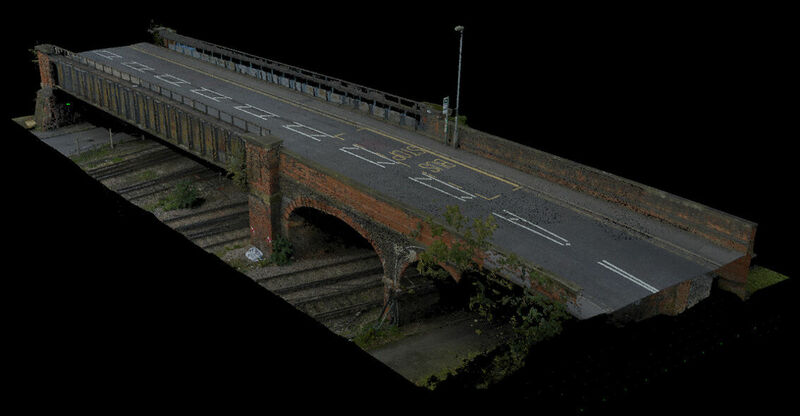 In order to extract 3D data from the images they must be of extremely high quality, so for photogrammetry to be successful we use a 100-megapixel camera that is so powerful it can read a business card from a height of 30m. 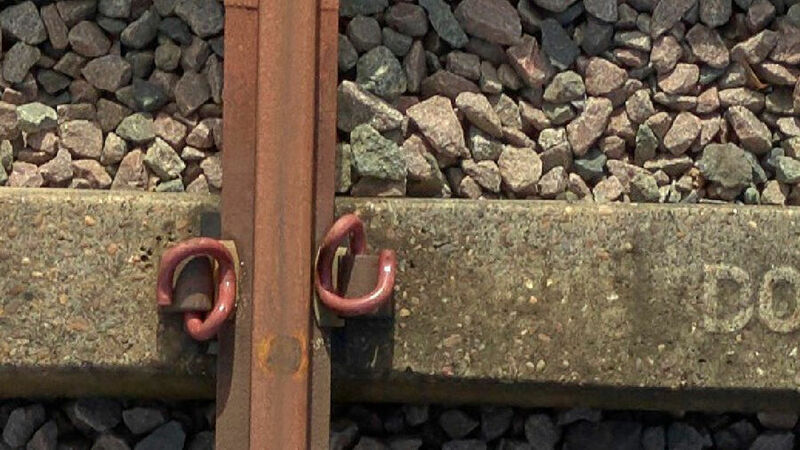 In a rail environment, that means being able to read markings on sleepers, identify specific rail clips, examine crossing noses or view the welds on the rails… all simple things that are highly problematic for surveyors working on the tracks at night. 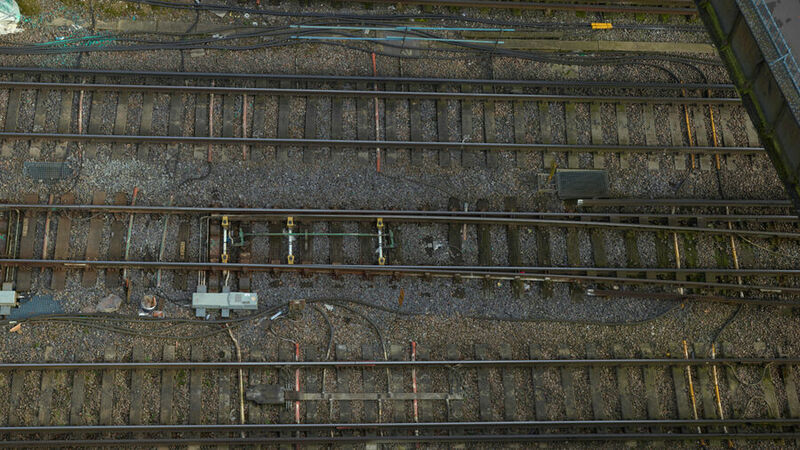 Topographical surveys of all P-Way detail – including all tracks, switches, crossings, ties, ballast. Point cloud for use in CAD packages by designers, enabling the production of BIM (Building Information Modelling) deliverables. 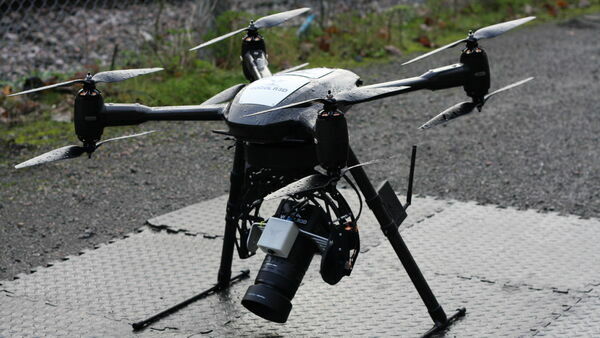 Another huge advantage of UAV surveying over ‘traditional’ methods is the range of extra benefits. Where manual surveys simply provide topographical and track alignment information, Vogel R3D captures both high-resolution imagery and survey-grade data, covering a much wider area. By applying robust survey principles and ensuring absolute geospatial accuracy through ground control points, a complete visual record with measurement data behind it is produced. Not only can site visualisations, condition surveys and asset inspections be conducted, enabling stakeholders to ‘walk’ the site from anywhere in the world using a tablet or computer, but using a widely available software package such as Leica’s TruView makes it possible to ‘interrogate’ the imagery and extract measurements. Users can identify certain areas or points-of-interest, pull up exact measurements on screen and share data with interested parties. 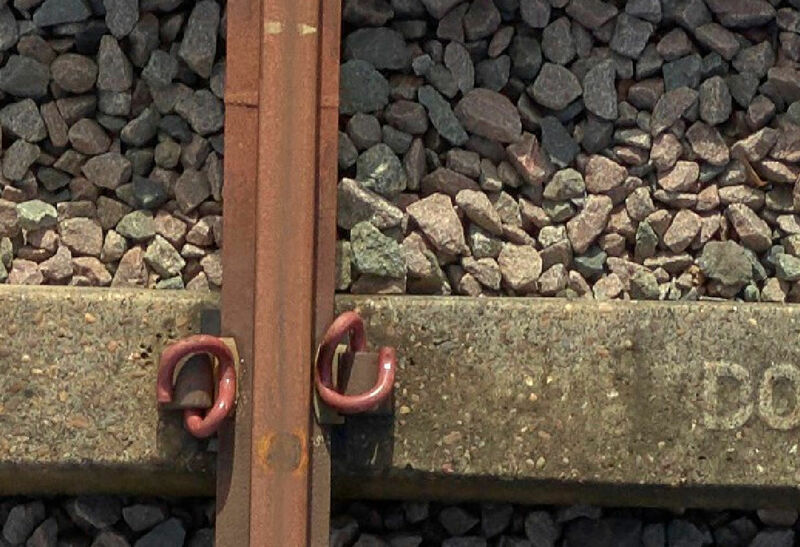 For train operators with extremely limited information on the physical characteristics of their routes, being able to access such usable, verified survey data is hugely valuable. Guildford was the largest, and most difficult, Vogel job to date. 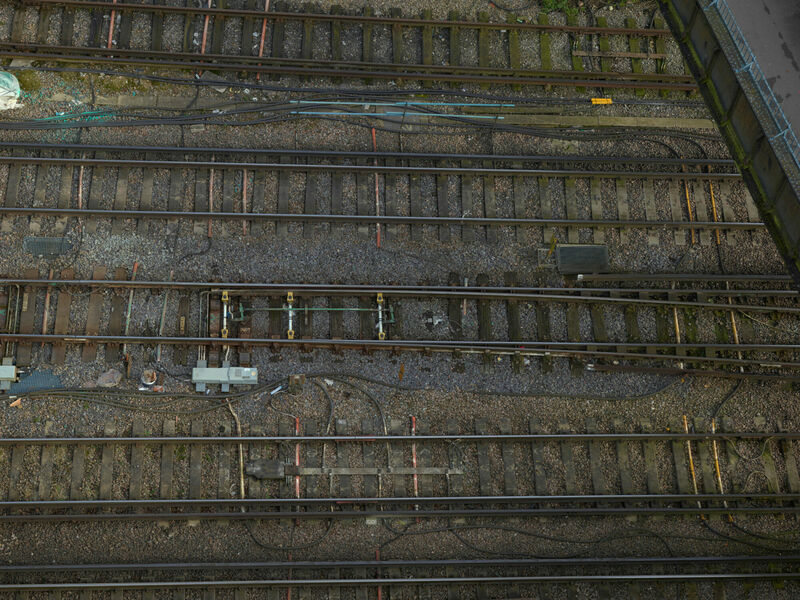 With some sections of the track up to 50m wide, establishing survey controls was a real difficulty – thankfully our survey expertise and processing techniques enabled a solution to be found that overcome a potentially unsurmountable problem. The sheer number of moving and parked trains also presented a problem, not least because the tracks were never clear for more than about 60 seconds. High levels of planning were required to ensure we were in the right position to capture data at the right time. 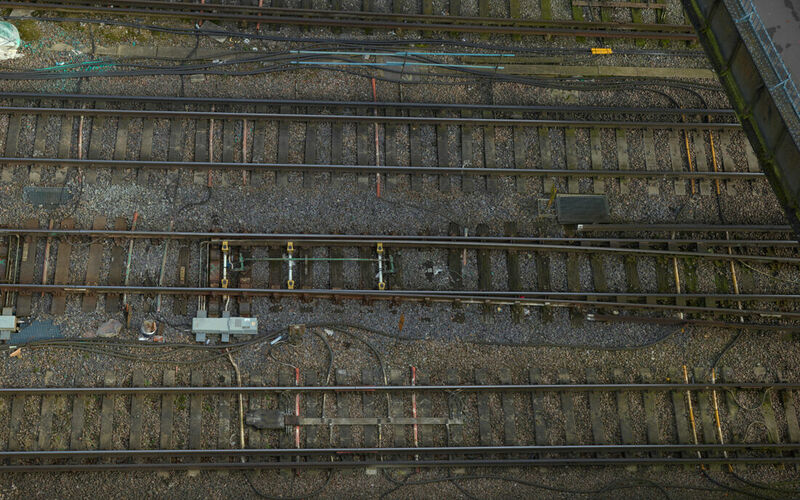 Being able to manually pause surveying mid-flight proved invaluable, as did setting the photogrammetry overlap to ensure trains blocking tracks didn’t impact on the outputs. 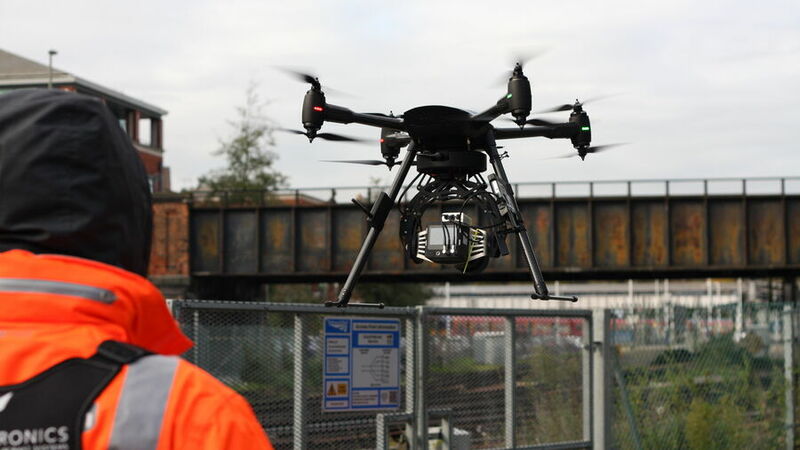 Guildford station presented a unique challenge our UAV team - with multiple bridges and overlying structures to be factored in – and perfectly highlighted the capabilities of Vogel R3D to deliver high-accuracy data for infrastructure. 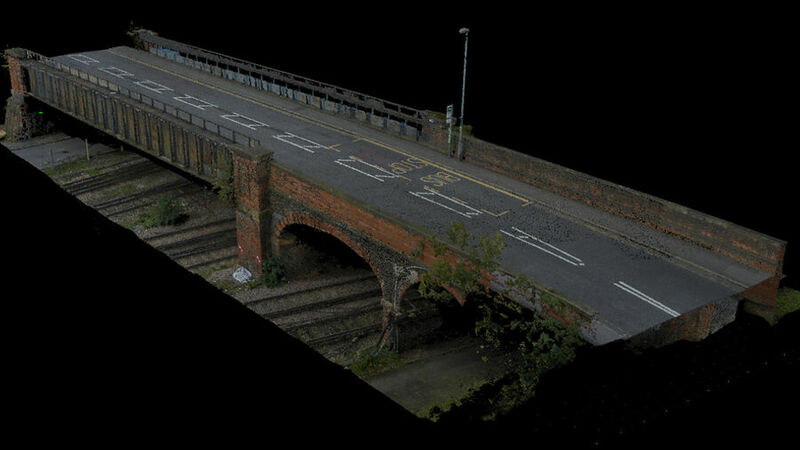 Along with all of the usual railway p-way features, all the bridges and walkways were also captured and modelled to produce a highly-detailed point cloud of all surrounding structures. 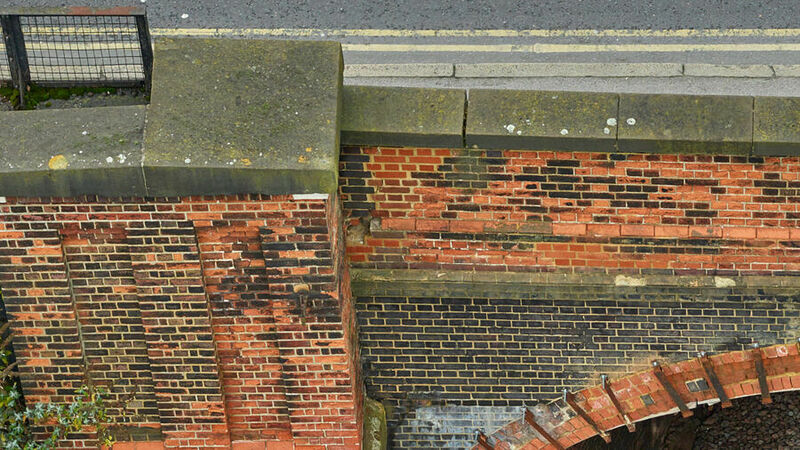 Through a combined analysis of the generated point cloud and high-resolution imagery, we were able to deliver condition analysis reports for the structures, including crack formation and propagation as well as structural damage and misalignment. As with the specific rail surveys, the Vogel was also able to deliver sub-5 mm accuracy.